Gurdjieff embodied his teaching in three forms: ideas (both written and oral), movements, and music. 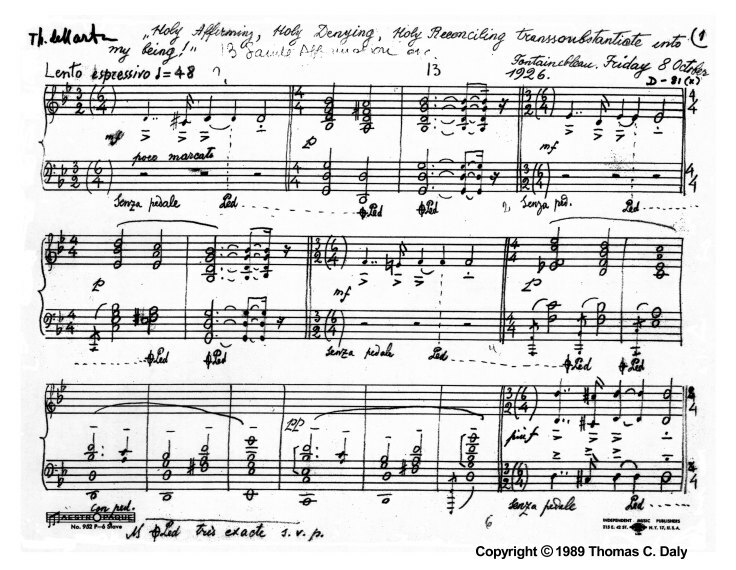 An accomplished professional composer, Thomas de Hartmann collaborated on several hundred musical compositions with Gurdjieff in the 1920s. This issue is focused on this music and its legacy. Three selections of piano music from G-H Records, chosen with commentary by Tom Daly, are performed by Thomas de Hartmann and reproduced in audio (MP3) format. In addition to carrying the authority of being the composers recordings, these evocative performances from the 1950s are unsurpassed in their own right. This essay was originally published in Parabola Magazine, Volume XI (3) 1985, as a review of the four-record album brought out by Triangle Editions in 1985. Reprinted with kind permission of Parabola and the author. Eugene E. Foster provides an appreciative introduction to the four volume series of compact discs and printed music issued by Wergo / Schott Music in Mainz, Germany. 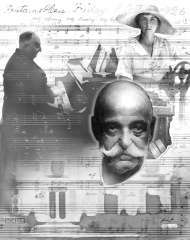 It forms the most comprehensive set of recordings and sheet music available of the Gurdjieff / de Hartmann music. Piano performances are by Linda Daniel-Spitz, Charles Ketcham and Laurence Rosenthal. The original English version of this essay was first published in Gurdjieff: Essays and Reflections on the Man and His Teaching, New York: Continuum, 1996, pages 301310. Reprinted with kind permission of the author. This account of the challenges film composer Laurence Rosenthal encountered when selecting and adapting music for Peter Brooks film of Gurdjieffs book was originally circulated as an insert in some of the press packets released with the film in 1978. Updated for this publication, Mr. Rosenthal emphasizes the importance of Russian composer Thomas de Hartmanns music in the film. These two biographical sketches were originally published in Our Life with Mr Gurdjieff: Definitive Edition, London: Penguin Arkana, 1992, 277p. Tom Daly recounts a day in 1918 when Thomas de Hartmann learned a painful lesson from Mr. Gurdjieff. First published in Poésie 99 (78) Paris, June 1999, this essay is translated from the French La Porte Étroite by Martha Heyneman for its first English publication here. Nicolescu points out that It is high time to undertake a serious inquiry into the relation between Daumals own work and the influence Gurdjieffs teaching had upon him, and calls for the undertaking of such a detailed study conducted in conformity with all the rules of scholarship. We propose Kathleen Rosenblatts recent René Daumal: The Life of a Mystic Guide as a candidate for this position. The first part of Chapter 9 from Kathleen Rosenblatts recent book René Daumal: The Life and Work of a Mystic Guide, (1999) New York: SUNY Press, is reproduced by permission of the State University of New York Press and the author. A long time student of the Gurdjieff teaching, Jeffrey Werbock is also a performer of the Azerbaijani art music known as mugham. For many years he studied under the musician Zevulon Avshalomov, engaging in the tradition of student and teacher, disciple and master.